SOURCE: Bellevue Literary Press Public knowledge and understanding of science as an engine of progress will reveal solutions to today’s most pressing problems, including climate change, energy independence, and national security. The following is the introduction from a forthcoming collection of essays on science policy culled from Science Progress, edited by Jonathan Moreno and Rick Weiss, and published by the Bellevue Literary Press. 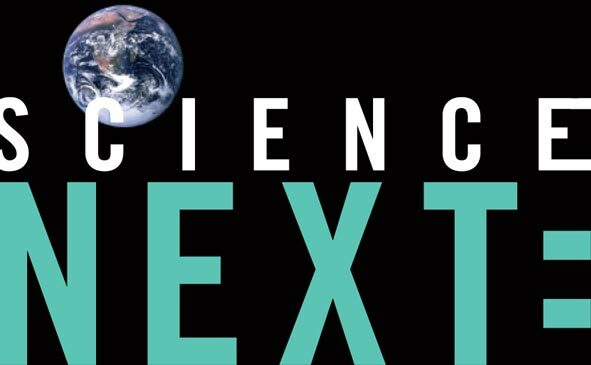 Welcome to Science Next, a collection of some of the most exciting and far-reaching ideas about innovation for a new American century. 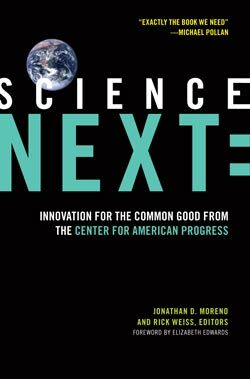 The writings in this volume emerged from a literary experiment that has been evolving during the past year on the virtual and paper pages of Science Progress (www.scienceprogress.org), which is a project of the Center for American Progress, a Washington, D.C.–based policy-research institute. The mission of Science Progress is to provide an opportunity for scientists and non-scientists to share ideas about ways that scientific and technological innovation can contribute to human flourishing. Given its genesis in a Washington think tank, the Science Progress conversation focused first on “inside the beltway” policymakers—a much-maligned but invaluable American species. Derided in the vernacular of Capitol Hill as “wonks,” these public servants and their minions are burdened with the enormous responsibility of translating the nation’s collective knowledge and wisdom into practical, political, and economic action. We at Science Progress have grown increasingly inspired, though, by the range of smart ideas outside those conventional circles and by the public hunger to become more a part of the process of bringing the art of science to good governance. With Science Next we take the conversation to a new level, and invite you to be part of it. After all, “wonk” spelled backwards is “know.” And it is knowledge—including public knowledge and understanding of science as an engine of progress—that will reveal solutions to today’s most pressing problems, including climate change, energy independence, and national security. The phrase “science progress” is, arguably, a bit awkward. Some would say it is redundant; others, less sanguine about where science is going, might call it contentious. But we who have been cultivating the pages of Science Progress find the construction provocative in the best sense of the word. It reminds us that we are the inheritors of the Enlightenment’s confidence in the possibility of improving the human condition—a possibility predicated on values of individual freedom, social equality, and democratic solidarity, and one that values reason as superior to dogma or blindly “received wisdom.” From this standpoint, scientific inquiry is the paradigmatic exercise of Enlightenment values. You got a problem with that? Well let’s go at it, because one of the things we love about science is that it is nothing if not argumentative. Both as a way of thinking and as a wellspring of novel ideas and products, science is a tumultuous truth-seeking process and even further, we contend, a revolutionary force for human liberation. This understanding of science as progressive does not deny that the power of science may be misused. Nor does it exclude the importance of other sources of inspiration or belittle the need for guidance and even regulation to ensure that the products of our progress are distributed fairly. But it does assert that the core values of science are democratic and antiauthoritarian. And it reflects a philosophical commitment to perpetual change and improvement over certainty and stasis. The very words “science” and “progress” took on their modern meanings in the nineteenth century, and it should not be surprising that they came of age around the same time. It was an era in which microscopes and telescopes were drilling down and up into nature, while stethoscopes were revealing the body’s mysterious inner space. Systematic investigation involving the careful manipulation of isolated variables was beginning to prove itself superior to mere observation, speeding the shift from mere anecdote to real evidence. The possibilities that could emerge from human insight were beginning to seem endless. Science as progressive, however, boasts philosophical and political skeins stretching much further back into the American historical experience. Francis Bacon’s utopian New Atlantis is often credited as being the first literary work to express the modern idea of progress in terms of advancing science and technology. It was a vision that was to have a profound effect on later seventeenth-century thinkers, including those who provided the intellectual justification for the American Revolution. For all the founders’ disagreements, they shared the conviction that the new nation’s promise was necessarily bound up with its innovative genius. Even those bitter rivals Jefferson and Hamilton were of one mind as they made their synergistic contributions to America’s identity as a nation dedicated to modernity: Jefferson through the patent statute and Hamilton by laying the foundations for history’s most successful capitalist economy, which together have so rewarded and nourished inventiveness. It is no coincidence that so many of the concepts at the very heart of how America has come to understand itself—ideas such as the frontier and the West—demand an experimental attitude in grappling with novel challenges. The optimistic “can do” spirit; the approval of bigness, boldness, and adventure; the lure of “the road”—all are associated with this sensibility and are at the heart of our veneration of this country’s great inventors, people like Benjamin Franklin, Thomas Edison, Jonas Salk, and Bill Gates. We hold these truths of perseverance and perspicacity to be, if not self-evident, at least within our grasp. Generations of Americans have come to characterize the United States itself as an experiment, a romantic and visionary theme compatible in orientation with pragmatist philosophers and early progressives. In this view, the only sure path to social and scientific advancement is as an iterative process of hypothesis, systematic experimentation, and data-gathering, followed by reform in light of experience. That the human condition can and should be improved by any means necessary—whether through government or private enterprise or some combination of the two, but with government as the ultimate guarantor of the public interest—has come to be the essence of progressivism, ever grounding those alleged improvements in the best possible evidence. America’s emergence as a nation of perpetual progress is all the more impressive given that this historical theme is not an inherent element of Western culture. The Greeks tended to think of their own time either as inferior to the mythical Golden Age or as part of a cycle of advance and decline. Imperial Romans saw themselves as in stasis since the establishment of the empire. Medieval Roman Catholic thinkers largely gave up on worldly progress in favor of spiritual improvement while awaiting Armageddon. And perhaps reflecting these cautious and frankly depressing roots, the conjunction of science and progress in the modern era has not always been welcomed as an unalloyed good. Just as the words’ modern meanings were coming into consciousness there were also the first signs of alarm, in a tradition that began famously with Mary Shelley’s Frankenstein and continues to exert a powerful hold on popular culture today. Taken to an extreme, this view holds that far from being a guarantor of progress (a promise that even progressives could not reasonably make), the potentially inhumane and even dehumanizing drift of science threatens the furtherance of progress itself. One common criticism of progressive science policy is that it naively adopts an instrumental view of science without reflection on the goals of innovation. At Science Progress, we appreciate that progressives have too often appeared to worship at the altar of change, and we reject the notion that a philosophy of innovation must be dumb to moral values. As you will see, Science Next considers ends as well as means, moral values as well as instrumentalities, as it explores the places where new ways of thinking can inform good governance. Similarly, at the risk of invoking a hackneyed reference to spirituality, we also believe that science occupies an exalted dimension, that the growth of reliable knowledge is in effect an expansion of consciousness. Science may not be the only path to a greater grasp of reality, but it makes a unique contribution to enhanced understanding of the cosmos and our place within it. To be sure, science is a social enterprise, conducted in the service of the metaorganism—We the People—that is funding the work, and it bears a profound responsibility to respect its roots. But to distort the process of inquiry through the imposition of political or religious filters amounts to a narrowing of vision, a corruption of imagination, and a threat to our freedom as beings endowed with intellect. One need not hark back to Copernicus or Galileo to see how such distortions can affect the arc of progressive science. It seems to many Americans that in recent years the respect for evidence and the spirit of open inquiry has been undermined and even sabotaged for the sake of short-term political advantage. The complex machinations of the American electoral system have recently placed the United States under new management, and there is reason to hope that science may once again find a more respected place at the policymaking table. It should be obvious to all that it is in the nation’s long-term interest to have the best evidence available—evidence that in many cases only science can provide—to foster commercial innovation, economic growth, energy efficiency and environmental stewardship, educational advancement, military defense, and the best possible array of intelligence options. In the twenty-first century, more than ever, it is no exaggeration to assert that only free and rigorous inquiry, and not authoritarian dicta, can provide the reliable information required for our physical survival. Open inquiry is also the best ticket to developing the tools that will allow us to fulfill our moral obligations to others in need, and to the planet itself. Perhaps most important, progress in science is essential for a continued sense of our national purpose as participants in a historic experiment in freedom and self-governance, as one people joined by a common future rather than a common past, a future we cherish not only for ourselves but for the sake of the generations of Americans to come. Now we invite you to dip into Science Next, where our future may be written. The following is the introduction from a forthcoming collection of essays on science policy culled from Science Progress, edited by Jonathan Moreno and Rick Weiss, and published by the Bellevue Literary Press. Welcome to Science Next, a collection of some of the most exciting and far-reaching ideas about innovation for a new American century. The writings in this volume emerged from a literary experiment that has been evolving during the past year on the virtual and paper pages of Science Progress (www.scienceprogress.org), which is a project of the Center for American Progress, a Washington, D.C.–based policy-research institute. The mission of Science Progress is to provide an opportunity for scientists and non-scientists to share ideas about ways that scientific and technological innovation can contribute to human flourishing.